I sat, staring at the backyard. My eyes perceived the scenery before me – the pale sky, the slender birch trees, the too tall grass – as my mind envisioned children laughing, rolling down the hill, blowing puffs of dandelions, and running to me for a kiss after falling down and scraping a knee. My yard was empty. I didn’t have any kids; didn’t have any co-workers, since I was working from home; didn’t have any friends, since my husband, Colin, and I had recently moved to the area. He was at work, and I was by myself. 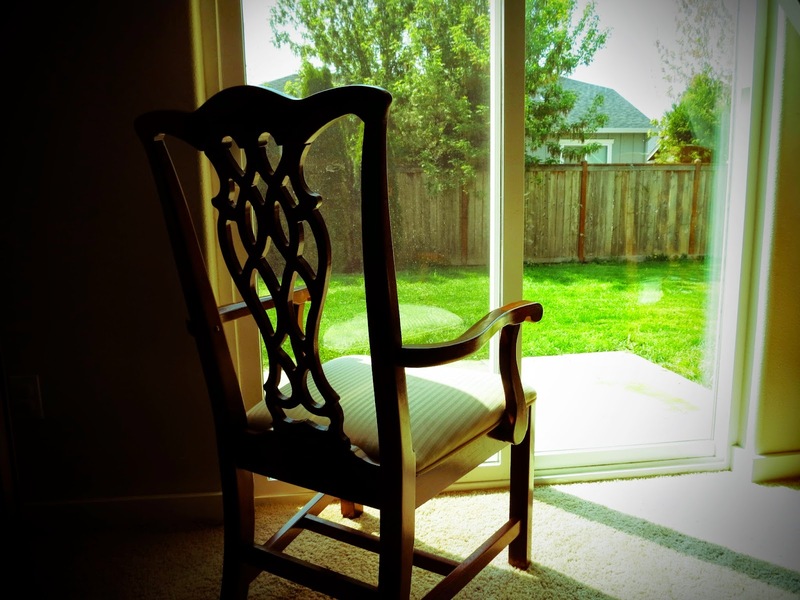 I sat alone in our empty house, gazing out the back window like a mental hospital patient, thinking about how I was never going to be a mom. Later, I learned that the neighbors whose property bordered the back of ours – the ones who owned the fence into which my eyes bored holes during my patio reverie – were also experiencing difficulties trying to conceive. The wife had been diagnosed with endometriosis, just as I had. The two of them had undergone a few unsuccessful rounds of IVF and were prepping for another attempt at the procedure, just as we were. Around that same time, we joined a church small group, where we met another couple who had fertility challenges and were beginning the adoption process, just like we were. Then I met another woman who had struggled with infertility for years until finally conceiving through IVF, and now wanted to help other women facing similar issues by starting a support group, just like I did. When we launched that support group, I met woman after woman after woman who knew The Ache – who desperately wanted a child but couldn’t get pregnant, and was wrestling with frustration, disappointment, worry, and anguish, just like I was. Through these experiences, I learned that I was not the only one grieving the loss of the ability to bear children; I was not the only one living life with this unfulfilled desire to be a mother. And once this desire eventually was fulfilled, I discovered that having children wasn’t the only redeeming result of this difficult season. Through infertility, I gained numerous new friendships and deeper, more honest relationships that I never would have experienced if I’d gotten pregnant that first month of trying. I treasure those friendships now, and certainly appreciated them back then. Because when you’re going through infertility, you need a friend who understands the vicious cycle of hope lifting off at Day 1 and crashing down around Day 28, accompanied by an unseemly obsession with charting various bodily functions. You need a friend with whom you can swap crazy Clomid stories, or laugh about the embarrassing thing you and/or your husband had to do at the doctor’s office, or joke about how you had to hide all your weapons before the adoption social worker paid a visit. You need a friend who will stay with you for several hours after a medical procedure, when you are too weak and dizzy to do anything but lie down and talk about your favorite cooking shows. You need a friend who will encourage you to give purpose to your pain by blogging about your experiences so others know they’re not the only ones struggling with this issue. You need a friend who will buy your old Barbie collection to help fund your IVF cycle, save the dolls, and then re-gift them to you to pass down to your daughter, as one of my high school youth group pals did to support that friend who inspired me to blog. Jessica bought a Barbie collection from Heather to help fund her IVF cycle, then saved the dolls to return to her Barbie sister in hopes of her one day having a little girl. 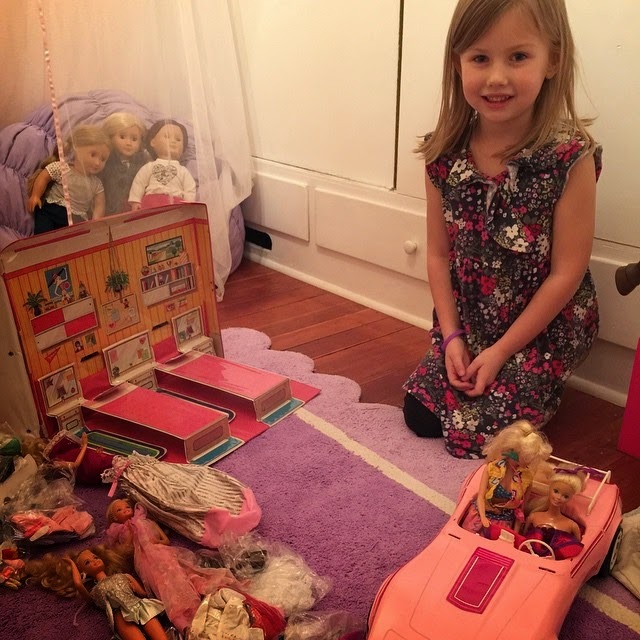 Heather’s daughter, Emily, now enjoys playing with her mom’s collection. Despite your friends doing all these wonderful, amazing things to uphold you, there will still be times when they are unavailable. Your calls will be dismissed; your texts will go unanswered. You need a Friend who will truly always be there, who is better than all the friends Facebook has to offer, who is better than all the babies you could ever wish to mother. You need Jesus. He will never leave you, or forsake you. He will carry your burdens, even when you think you don’t care anymore, and revive your hope, even when you feel like giving up. And, knowing that you have the ultimate friend in Jesus, you can be a friend for Jesus. By that, I mean you can share the love and comfort of Christ with those who are hurting, even when you are hurting. He’ll give you the grace and strength to do it. You might just be the friend someone needs to tell her she is not alone, either. In the world we live in today, it shouldn’t be hard to find someone who is going through a difficult time and could use some encouragement. Look no farther than across the fence in your own backyard.